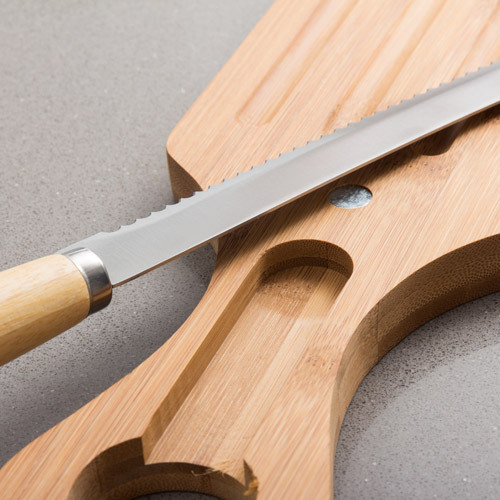 If you like bamboo products, don’t miss the convenient TakeTokio ™ Bamboo bread cutting board and knife. 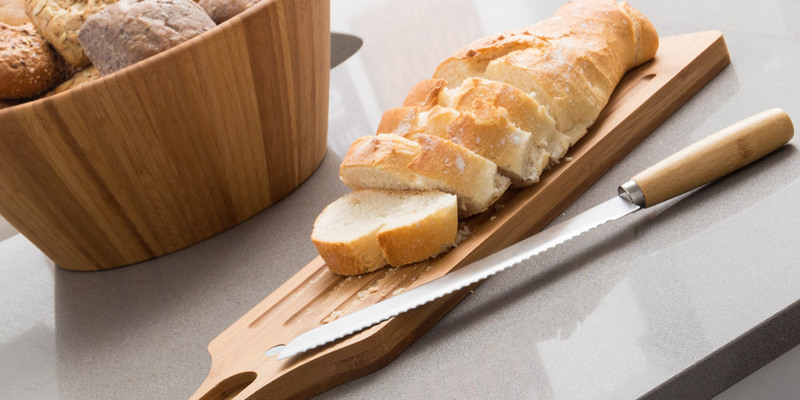 This bread cutting board features a hole to hang it on the wall, a magnetised area for the knife and grooves to catch the crumbs. Approx. dimensions of the bamboo board: 55 x 2 x 12 cm. Approx. length of the knife: 30 cm (handle included). Made of totally ecologic and high-quality bamboo wood.